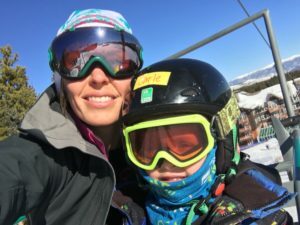 For many years, I’ve devoted every weekend to powder days, t-bar laps, exploring advanced terrain, and skiing with my best friends at Breck Ski Resort. Now that I have a little one, I’ve had to adjust my routine slightly. 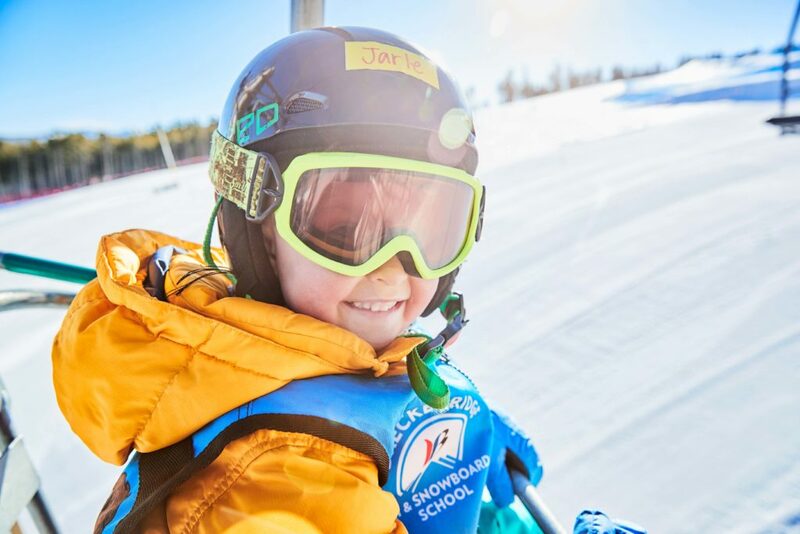 Lucky for me, Breck makes it easy to share my passion with my 4-year-old son Jarle (pronounced Yarley). 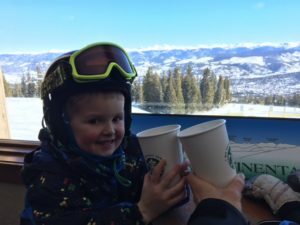 I still get to ski every weekend, but we explore Breck’s signature Kid Zones instead! 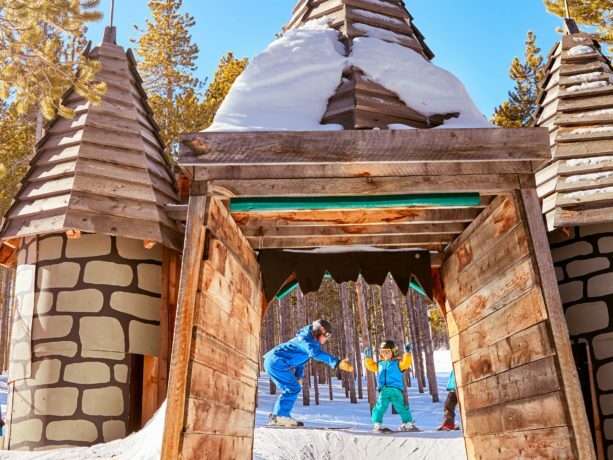 Jarle and I usually start our day on the Breck Connect Gondola, which is a fun ride for the kiddos. 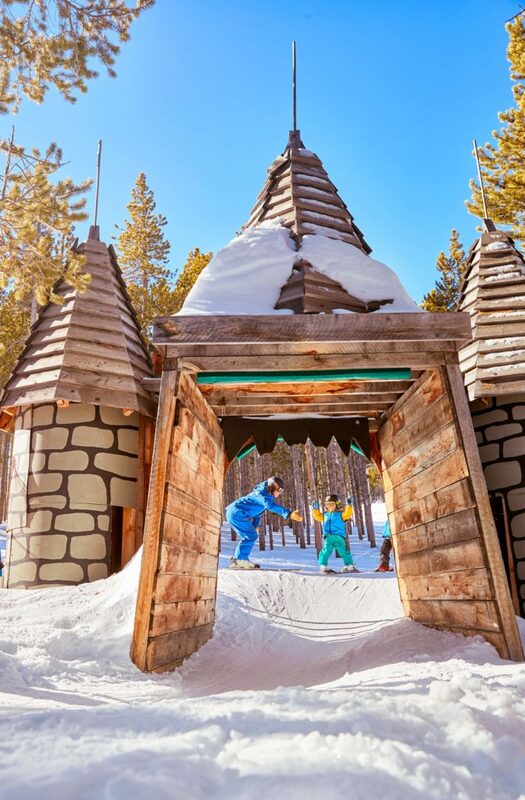 Look for moose as you pass over Cucumber Gulch Nature Preserve, view Nordic skiers in the Breck Nordic Center, and watch town get small as you head up to Peak 8. From the gondola, you can walk straight to the beginner chairlift Rips Ride, which accesses the best learning terrain on Peak 8. The lifties are friendly, and they help us on the chair with a smile and a high five. And we’re off! First stop… Dragon’s Trail Kid Zone. This fun flowy trail goes under castles, over bridges, and swoops around the trees like a roller coaster. Jarle has fun stuff to look at, and I’ve seen his skills improve as he works on his edges and speed control without even trying. The Dragon Trail Kid Zone brings you to the Lazy River on Trygve’s. 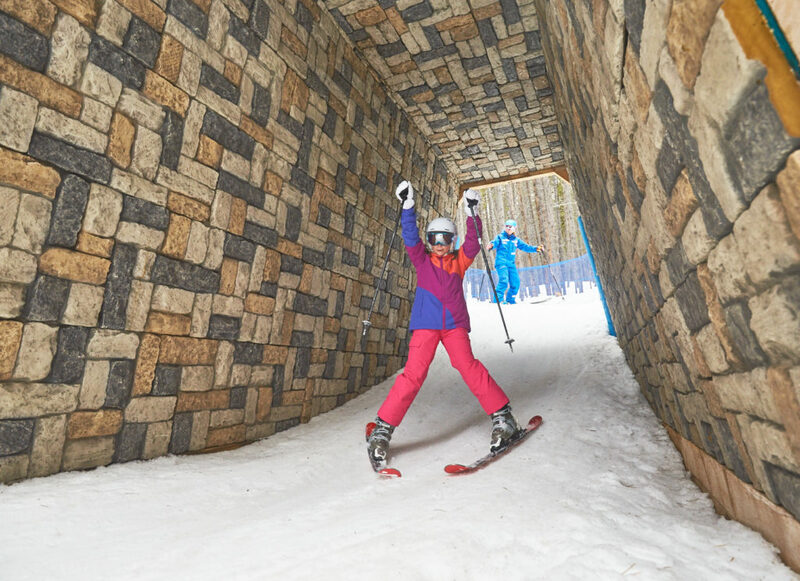 Even parents can’t help but have fun on these wide open bank turns. The Lazy River drops you back at Rips Ride chairlift so you can take as many runs as your little one is up for! 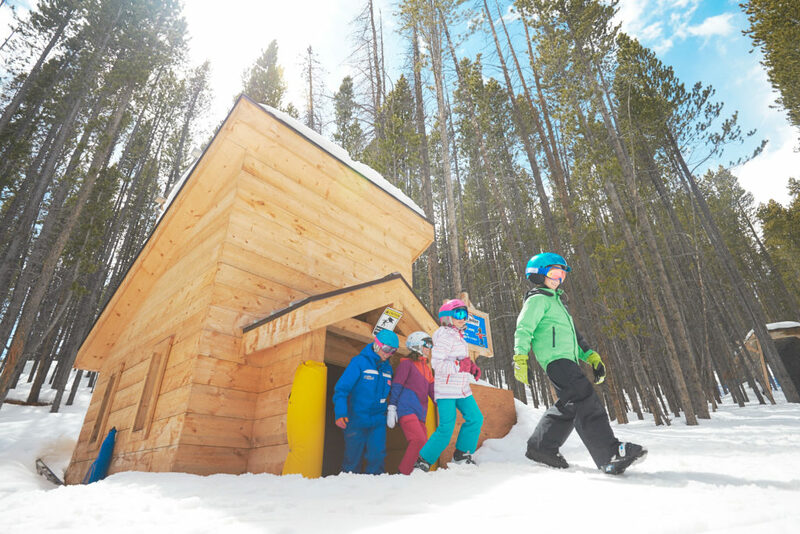 Our other favorite kid zone is the Haunted Forest under the Quicksilver Chairlift on Peak 9. 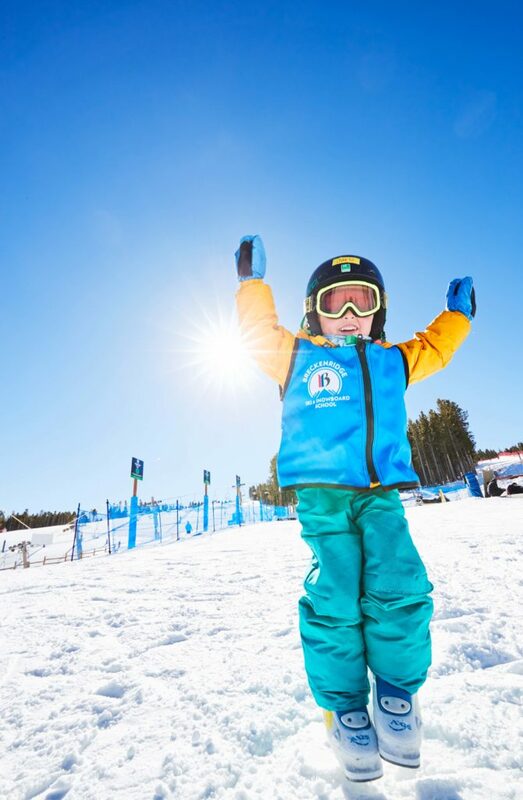 This is a popular beginner ski and snowboard zone, and you will encounter Breck Ski & Ride School, and beginners of all ages in this area. Be courteous of others as you wind through the woods down a mellow grade, passed a haunted graveyard, skiing under giant spiders and dragons. This is probably Jarle and his best friend Rowan’s favorite run. They never get sick of the giant spider, who gets a giggle every time! 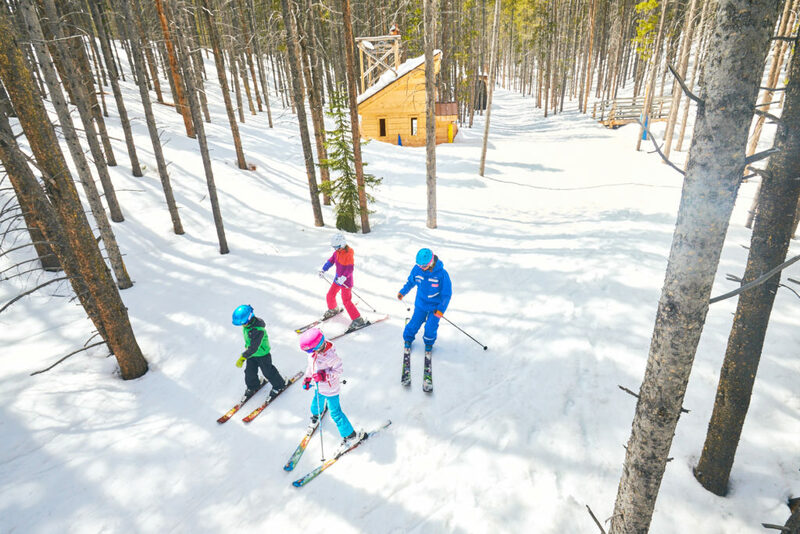 Once your kids graduate from green runs to blues – I suggest heading to the Family Zone on Bonanza (Peak 9) or Springmeier (Peak 8). Large yellow fences promote this as a family ski zone, and keep faster skiers and snowboarders off the terrain. It’s a great place to practice turns, stop when you need a break, and give the kids a chance to try out their skills on the blues. One tip for the parents… don’t forget to take hot cocoa breaks for a successful (meltdown-free) day. A little sugar will do wonders for your kid’s mood and stamina. 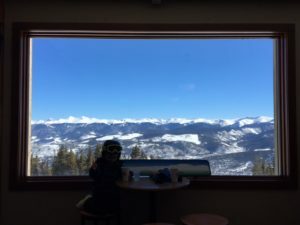 Our favorite spot is the middle floor, right next to the window, at the Vista Haus on Peak 8. There are great views of the valley and skiers below. Depending on the day, Jarle and I may spend more time drinking hot cocoa than we do skiing. But that’s ok! Its all about having a good time playing outside with the kids!